Originally built by the Nederlander Organization in the early 1970s, the DTE Energy Music Theatre is a 15,274-seat amphitheater located in Clarkston, Michigan. It was originally known as the Pine Knob Music Theatre, due to its proximity to the nearby Pine Knob ski area and golf course. 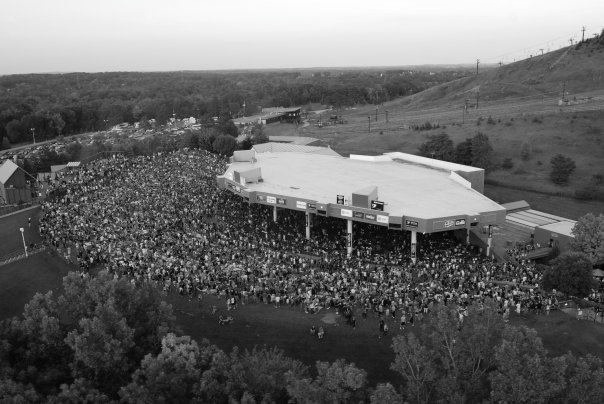 The name was changed in 2001 when DTE Energy (the parent company of Detroit Edison) purchased the naming rights to the amphitheater in a ten-year, $10 million deal. Despite this change, many people still continue to call the venue "Pine Knob". The amphitheater held its grand opening in June 1972 with an Andy Williams concert. However, on June 25, 1972 (a few days before Williams' appearance), there was a "pre-opening" concert featuring teen idol David Cassidy.